This show is so well written and relevant to us today proving that family goes beyond biology and sexual orientation, but that familial love comes in different packages. 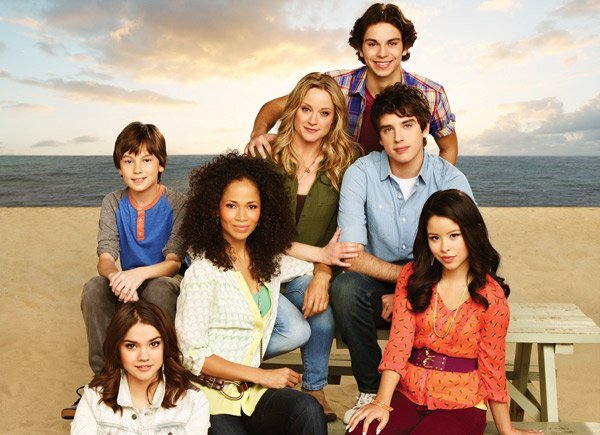 There are universal themes that ABCFamily’s The Fosters touch on so effectively that resonate with the show’s diverse audience. All families of all kinds can relate to the usual daily challenges and joys of being parents, siblings, teenagers and such that come with these relationships. There are also the unique challenges that come with creating family that is blended especially with adding to the mix some adopted and foster children. The parents just happen to be Lesbian. One is a cop and the other is a school principal. One of the parents came out of a straight marriage with a biological son. All kinds of issues are touched in a realistic way but there is also shown the ways to meet these issues as a family. Nothing is really sugar coated, but the power of a family centered in love, allows problems to be solved or set in the direction of being solved. Of course, there are also new issues to face and these bonds are tried and proven. There is masterful acting on this set. Lena Adams Foster ( played by Sheri Shaum) and Stef Adams Foster ( played by Teri Polo) are brilliant as parents and as a married couple. Their relationship is pivotal to all the story lines and pays tribute to the fact that somehow parents can make it through the sometimes turbulent storms of raising teenagers. The children and the actors who play them are pitch perfect in their roles. 2014 has started with a volatile story line that has son, Brandon Foster ( played by David Lambert) falling for foster sister Callie Jacob ( played by Maia Mitchell) . Mitchell and Lambert pull in excellence performances with a plot line that will be central this year. Mitchell, as the troubled foster daughter, especially is compelling in her role. Callie has run off because of the mutual attraction between her and Brandon. Fearing that the proposed adoption of her and her little brother by the Fosters would be ruined by this revelation, she takes off to the next state. Of course, there is a big search for her with Lena and Stef in her pursuit. In the meanwhile, Callie finds herself in jail. The previews show that this connection with Brandon will not be going away ( easily at least) which adds to the dynamic of the show. Please tune into the Fosters, for great writing, acting … and just great TV.